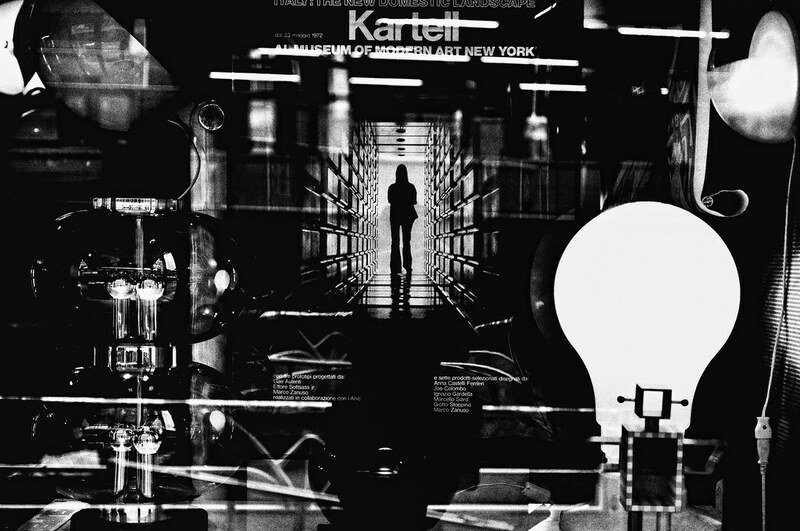 My flickr contact Tatsuo Suzuki posted this incredible street reflection taken in Tokyo, Japan. 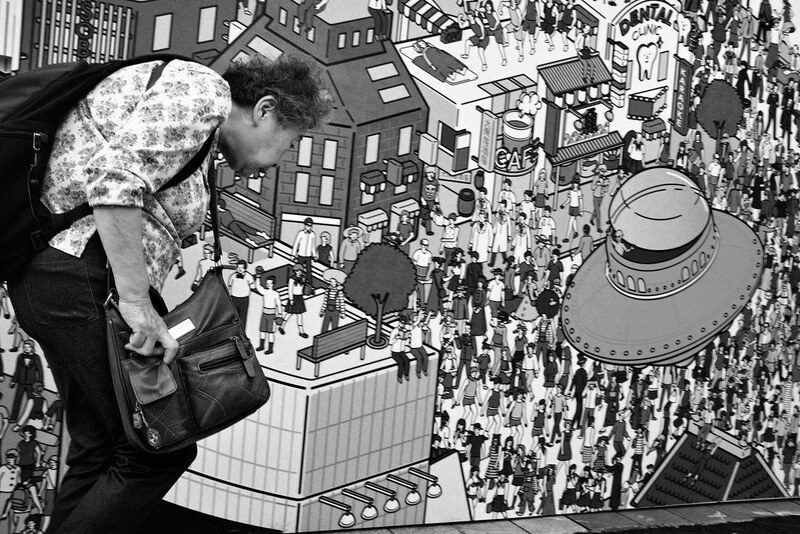 My flickr contact Tatsuo Suzuki posted this fantastic billboard portrait taken in Tokyo, Japan of an elderly woman hunched over with various bags in front of a billboard with a flying saucer in it, among other things. If one projects, it looks like the weight of her bags and her concentration on walking is keeping her from noticing a flying saucer. Or, she’s making eye contact with its alien driver. Incredible, what a juxtaposition! 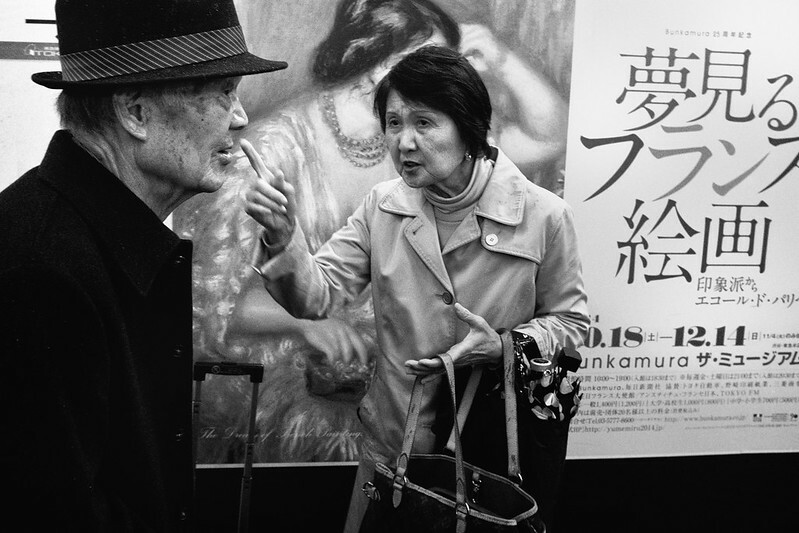 Taken with a Fuji X100T. 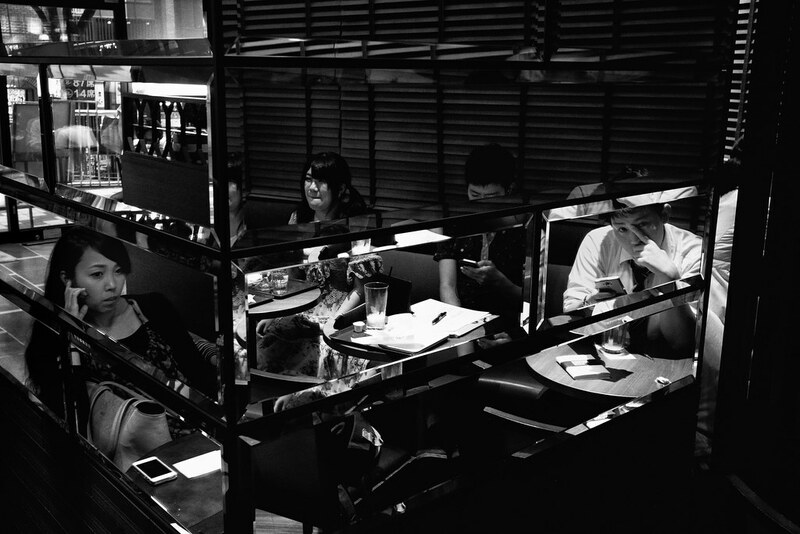 My flickr contact Tatsuo Suzuki posted this fantastic image from a cafe in Tokyo, Japan taken with his Fuji X100T. 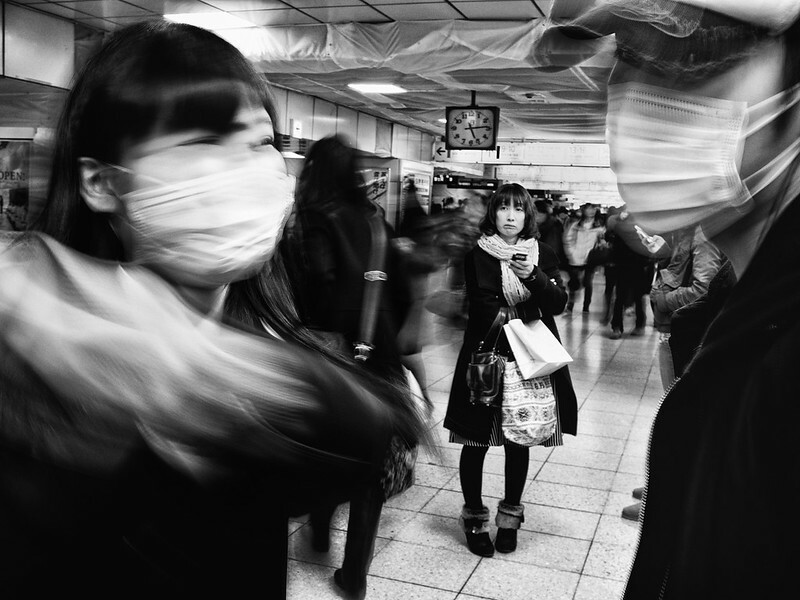 My flickr contact Tatsuo Suzuki took this exceptional image in Shinjuku, Tokyo, Japan. 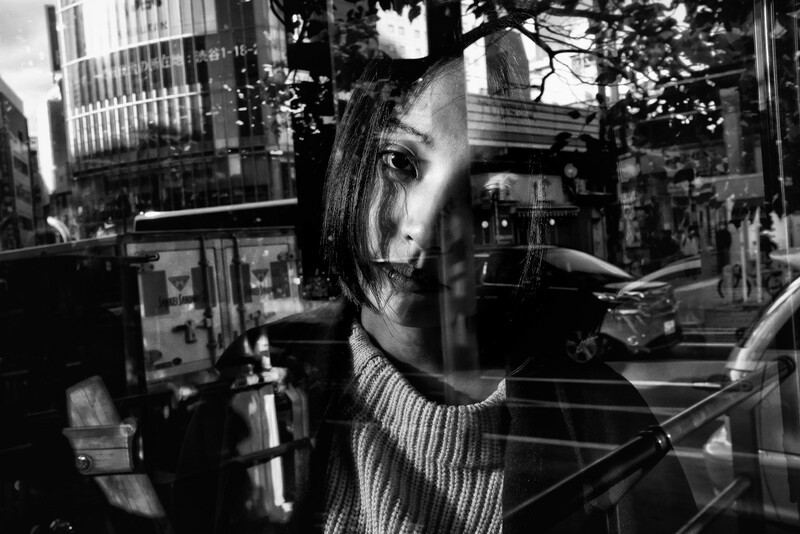 My flickr contact Tatsuo Suzuki has posted this most intimate look through the window of a cafe in Shibuya, Tokyo, Japan. 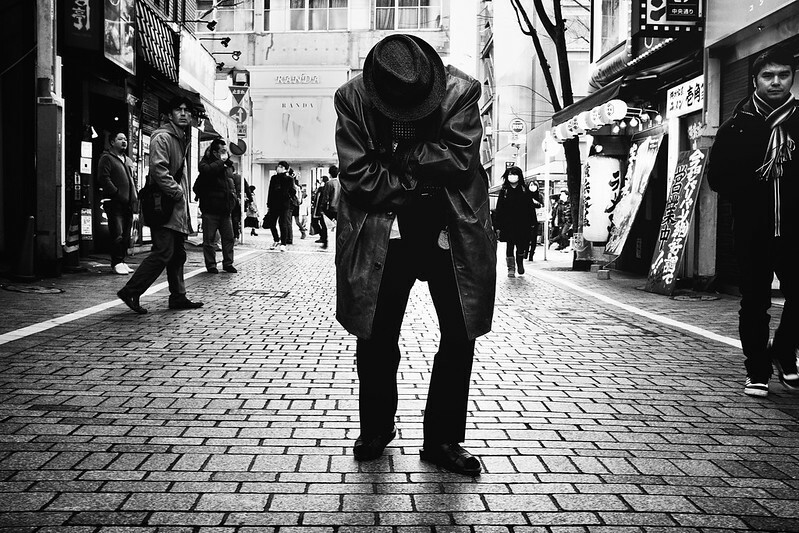 My flickr contact Tatsuo Suzuki posted this fantastic street shot taken in Shibuya, Tokyo, Japan. 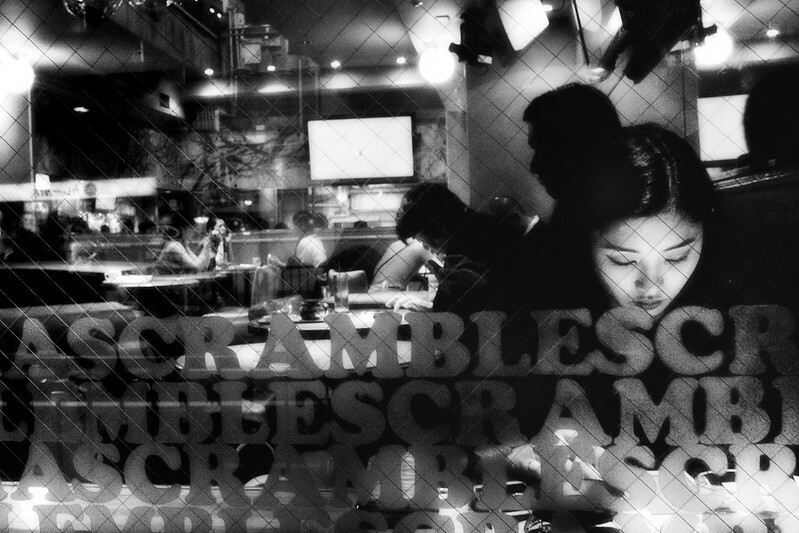 Brilliant timing. 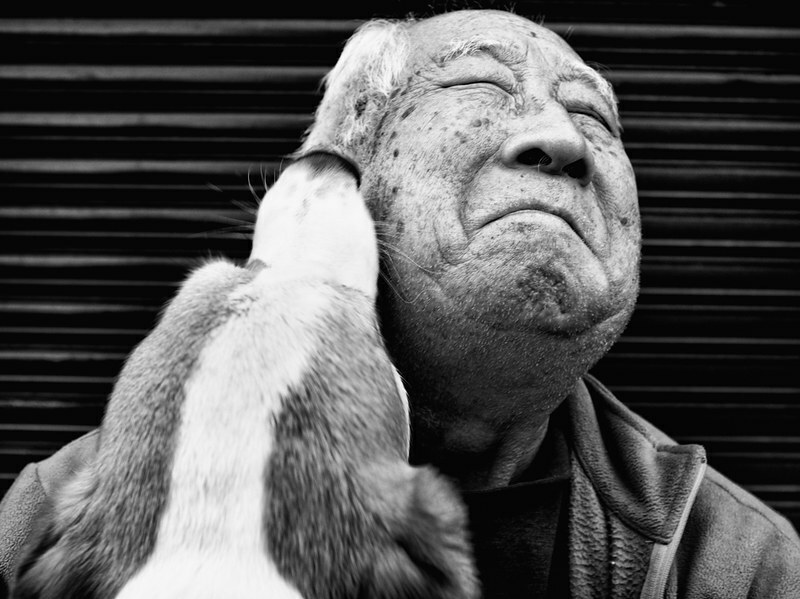 My flickr contact Tatsuo Suzuki took this great image of a man being nuzzled by a dog in Japan. 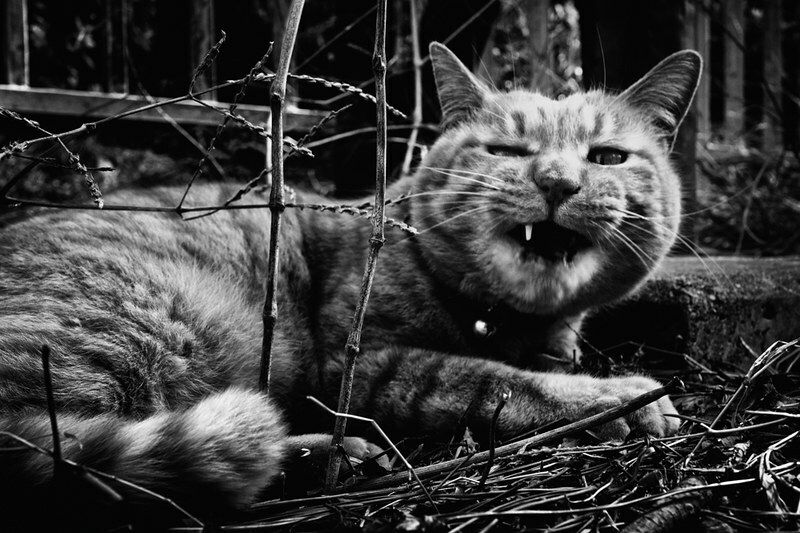 My flickr contact Tatsuo Suzuki took this great image of a cat missing some teeth. There’s something about this cat that makes it a great subject for a street photograph. This isn’t a typical cute cat portrait, more like a portrait of a street animal.